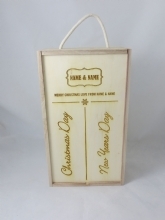 Wooden wine boxes laser engraved with personalised messages for Christmas and New Year celebrations in a choice of new designs. 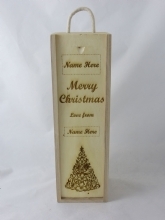 Dont be stuck for Christmas ideas, why not give a personalised gift. We can engrave a variety of products with your personal message.